Here is an excellent explanation of the accordion by British accordion expert Leslie Thompson who describes how an accordion’s notes and chords are organized, and how different sizes and styles vary. This is an organ and a harpsichord in one. Popular in 18th century Britain, about 20 of these hybrid instruments are still playable today. In testing cavalry swords, the blade is struck under the same conditions as the bayonet (No 2), is placed in a machine* and pressed on the top while in a vertical position, until it is shortened four inches (No. 1), and must bear a 28lb. 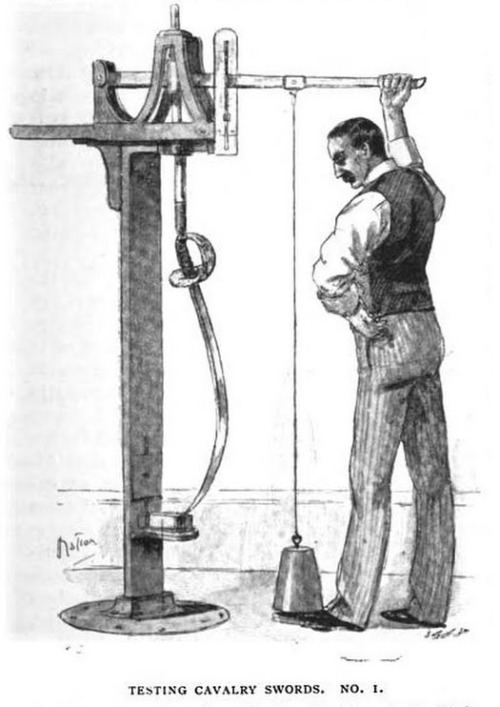 vertical pressure without bending. As the result of a investigation instituted by the Government, was recently discovered that in pressing on blade so that it bent first on one side, then the other–a common practice among infantry officers–the fibre of the metal was strained; when, therefore, the vertical pressure test is applied and the blade sprung, a small cross is stamped on the convex side to denote that the sword may be sprung only on that side. *This device was known as an “eprouvette”. 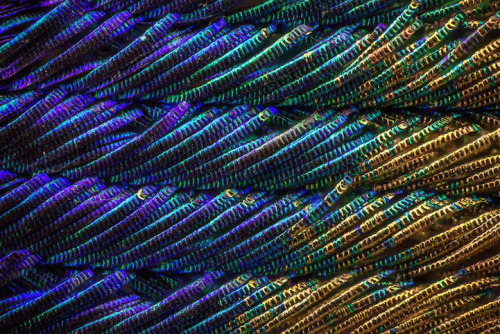 Macro photos by Waldo Neil reveal the magnificent detail of peacock feathers up close.